NJ’s xylophone-fueled punks Crazy & the Brains have a ton of shows coming up in NYC/NJ, as usual. Their NYC shows include Pianos on Friday (1/15) with The Black Clouds, Those Mocking Birds, Dead Stars and Darkwing (tickets); a free show at Pine Box Rock Shop on Saturday (1/16); one at Palisades on January 21 with Larry & the Babes, Bodega Bay and Little Cobweb (tickets); Good Room on January 30 with Philly folk punks Mischief Brew (headlining), The Homewreckers and Out of System Transfer (tickets); a release party for their new video at Le Poisson Rouge on February 6 with comedian Brett Davis (who they’ve played with before) and High Waisted (tickets); back to Palisades on March 5 with The Roaring 420s, Go!Zilla and The Dirty Blones (tickets); and The Studio at Webster Hall on May 22 with Tim & Eric‘s David Liebe Hart (tickets). As for their NJ shows, there’s February 13 at Funhouse (the Jersey city venue they run) with Joe Jack Talcum (of Dead Milkmen), American Anymen and Crushed Out; and March 4 at Monty Hall with the killer punk band Night Birds and Dirty Fences (tickets). Besides all that, CATB play Albany’s World Citizen Party House on February 5. You certainly can’t say there’s no chances to see them! 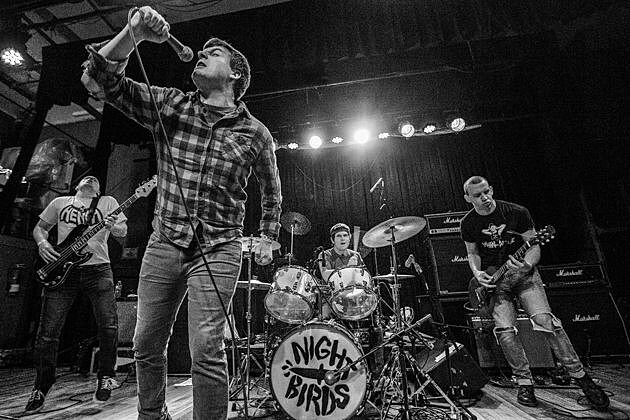 Speaking of Night Birds, they topped Punk News‘ Best Albums of 2015 list, which recently came out. The rest of the list includes Hop Along, Protomartyr, Desaparecidos, Downtown Boys, Titus Andronicus, Screaming Females, The Mountain Goats, Beach Slang, The Wonder Years, Sleater-Kinney and more. Check it out here. Night Birds have a few other upcoming shows, which are listed below.